Recommended for lawns up to 2½ acres. 125cm / 49 inch cutting width. Cutting heights from 30mm to 90mm over 8 stages. Optimised grass collection through synchronous blade rotation. Electromagnetic blade engagement for ease of use. Briggs & Stratton v-twin, 724cc, 20hp engine. 350 litre grass box which can be emptied from the drivers seat. RRP - £5,355.00 inc vat. Our special offer price with a massive 25% off £4,016.25° inc vat. Pre delivery inspection, delivery & installation included*. 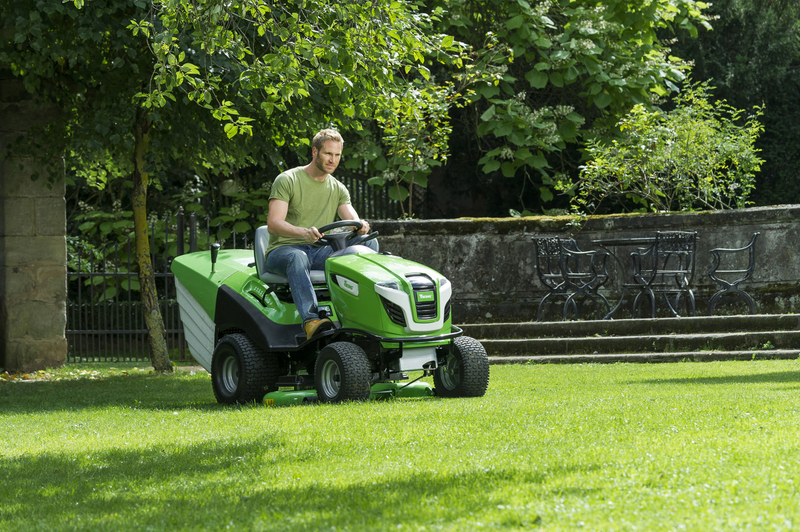 This really is one of the best lawn tractors on the market. Excellent build quality together with a very impressive specification list makes this ride-on a firm favourite of ours. Have a question ? or for more information - info@celticm.co.uk or call 01792 641517. ° - while stocks last / subject to availability..
* - subject to location - please provide postcode for confirmation.